According to an August 25 statement from the Florida Department of Agriculture and Consumer Services (DOACS), a horse on a second property has tested positive for equine piroplasmosis. Equine piroplasmosis (EP) is a tick-borne disease caused by two parasites, Babesia caballi and B. equi. The parasites are able to hitch a ride on certain ticks, in which they can amplify, thus, creating the potential for spread to horses. The parasites can also be spread via shared needles. Florida Agriculture and Consumer Services Commissioner Charles H. Bronson announced on August 15 that a horse in Manatee County, Fla., had been diagnosed with equine piroplasmosis, an animal disease that the U.S. has been considered free of since 1988. The affected horse was euthanized, but since that time, four other horses on the original property tested positive for the disease. Several adjacent and contact premises linked to the original positive property have also been investigated. Of the 30 additional horses tested late last week, one horse from a contact premises tested positive, the DOACS said in an official statement. A British woman faces prosecution in Spain following the death of 16 horses. Another 36 are in a critical condition. Officials with the Missouri Department of Health and Senior Services are notifying people who attended the Missouri State Fair in Sedalia of a confirmed case of rabies in a horse stabled and shown on the grounds during this event. While there is little likelihood any visitor to the Fair was exposed to rabies from this horse, public health officials are making this notification as a precaution. MOTORISTS who kill whilst avoidably distracted at the wheel will face prison under new careless driving laws which come into force on Monday 18 August. The new offences will, for the first time, allow courts to imprison drivers who cause deaths by not paying due care to the road, or to other road users. They are designed to plug the gap in current legislation and so prevent drivers who kill walking away from court with just a fine. The new laws will also penalise uninsured, disqualified or unlicensed drivers who kill. A 23-year-old female rider has been killed while competing in the cross-country phase of the Hartpury Horse Trials. AN eight-year-old girl is in a serious condition in hospital this evening after being impaled by a metal spike at the Dublin Horse Show. The young girl suffered horrific injuries when part of a stand collapsed in the main hall. The largest group of horse veterinarians has called for an end to the "culture of abuse" among Tennessee walking horse owners. The American Association of Equine Practitioners released a "white paper" with recommendations on eliminating "soring," an abusive practice in Tennessee walking horses. They called it "one of the most significant welfare issues affecting any equine breed or discipline." Soring involves deliberately injuring a horse with chemical irritants, weighted chains or pads, painful shoeing or hoof trimming to exaggerate the natural walking horse gaits, characterized by the horse arching its front legs as it walks. It's often called the big lick. An experienced horsewoman who died after being hurled from her mount was wearing an out-of-date helmet that failed to cushion her skull, a coroner has ruled. A video showcasing the Olympic horses as they depart from the main European hubs is available from the FEI. RESIDENTS in a quiet cul-de-sac got a shock when 12 horses galloped into their street. The horses arrived in Shaw Wood Close in North End, Durham City. · target overall inspection resource at workplaces where the risk of injury or ill-health is highest by encouraging further joint working between HSE and local authorities. Trade union leaders slammed the report, claiming the Government was getting its priorities wrong on the issue. TUC general secretary Brendan Barber said: "This report does nothing to address the appalling health and safety record of Britain's small businesses. Instead it looks to what it terms the 'burden' of health and safety regulation for businesses. "Small businesses have a worse record on most health issues than larger ones. Rather than address this problem, many have simply ignored it. More than half of small businesses have not even done a basic risk assessment, despite this being a legal requirement." He added: "The aim of health and safety regulation is to protect workers from injury and ill-health. Obeying the law is not a 'burden' but a legal duty and if an employer - whatever their size - is putting the lives or health of their workers at risk, they should be prosecuted like any other criminal." ANIMAL rescue training proved its worth after firefighters rescued a trapped horse from drowning in a bog. AN equestrian firm which successfully opposed a compensation claim for unfair dismissal by a former stable manager has failed to win £600 costs against her. The NSW Department of Primary Industries has quarantined a stable next to Ballina Racecourse in the state's north after a horse showed signs similar to Hendra virus infection. The department says the diagnosis has not been confirmed. More samples from horses at the stable were collected on Monday, and the results are expected within the next few days. Norfolk police last night conceded that an oversight to take advantage of the established partnership they have with Redwings Horse Sanctuary for dealing with straying or injured horses contributed to the tragic death of a pony. A HORSE and its rider were rescued by fire crews after they fell into a ditch. The horse and female rider had been travelling alongside the ditch in Main Road, Longstowe, when the animal bolted and the pair fell in. The ditch was about two metres deep and the horse, named Drummer, got stuck upside down. Both horse and rider were released uninjured after a four hour rescue operation. A 24-year-old gelding quarter horse near Moses Lake was discovered to have the West Nile Virus. 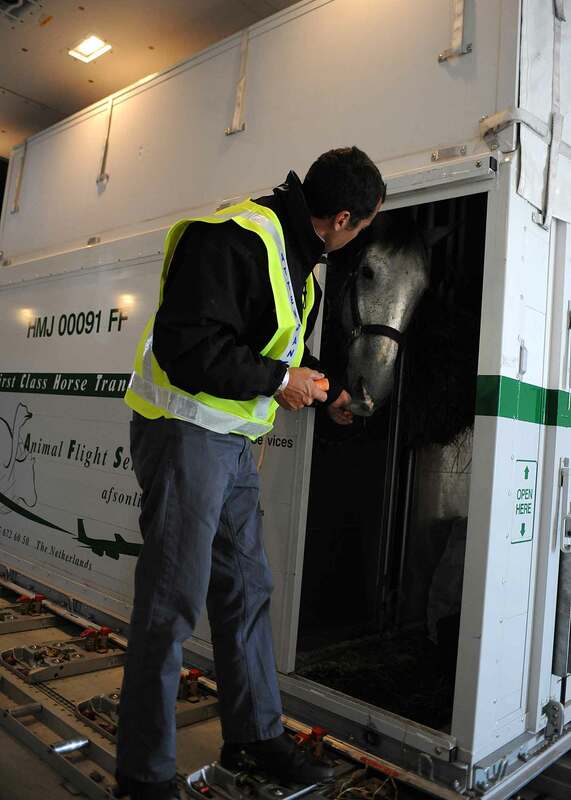 The horse appears to be recovering, according to Jason Kelly, state Department of Agriculture spokesperson. A second horse in Prosser, a 5-year-old quarter horse male, may have to be euthanized, he added. Neither horse was vaccinated against the West Nile Virus, according to the state. These are the first two horses known to contract the virus this year. Kelly stated eight horses in Yakima County were known to have been infected last year. Many horse enthusiasts in Hong Kong try to beat the summer heat by going for a ride at dawn or sunset, but the Olympic equestrian events from next Saturday to August 21st will take this to an extreme. The events will start as early as 6:30 in the morning and end by late morning, or begin as late as 10:45 at night. The goal is to make sure that horses and riders are not exposed to the midday heat and humidity of Hong Kong, one of the most tropical places to host an Olympic event. A Moray horse owner has condemned attackers who cut parts of the mane and tail off his filly. Firefighters rescued a horse that fell partially through barn floorboards and was dangling eight feet above the ground Friday afternoon. A FARMING family has been left devastated after lightning strikes killed two horses in horrendous storms early today. Two jockeys are recovering in hospital after a 5 horse pile-up at Kempton Park that killed 2 horses. The accident happened at the half way stage of the 1m apprentice race on Wednesday night (30 July). A 60-YEAR-OLD holidaymaker had to be airlifted from a beach yesterday, before a rapidly incoming tide, after falling from a horse and injuring her back. The accident happened on a beach known locally as Cliffoney beach, north of Sligo town, just after noon yesterday. Veterinarians in eastern Missouri this afternoon are caring for a horse that was allegedly dragged behind a four-wheeler earlier this week. The Longmeadow Rescue Ranch in Union, Mo., is caring for the horse, which Humane Society volunteers have named Mason. Officials say Mason, a 2-year-old male bay Missouri Fox Trotter, was dragged more than 200 feet on his side. Mason’s owner was attempting to bring the horse back to a pen after he had escaped Tuesday evening, said Debbie Hill, vice president of operations at the ranch. The owner was arrested that night and has since been charged with felony animal abuse. The global threat of bird flu saved the Australian horse industry, experts say. In 2004, the CSIRO Australian Animal Health Laboratory developed a molecular diagnostic test for bird flu, at a time when equine influenza (EI) was not even on the radar. Three years later, the same test was used in the effort to stop the spread of EI, with Agtrans Research saying it allowed authorities to determine the best ways to contain it. HORSE owners across Worcestershire are protecting themselves against thieves by using SmartWater. The property marking system is being distributed by Worcestershire HorseWatch - a dedicated network of horse owners who share information on any equine-related crime in the area and how to protect property or animals against it. The permanent SmartWater liquid - more accurate than DNA and each bottle unique - will now be used by horse owners to mark their saddles, bridles and other equipment. A couple found liable for an accident on a bouncy castle that left a boy brain-damaged yesterday won an appeal against the ruling. An appeal court judge ruled that a "freak and tragic accident" had left Sam Harris, now 13, brain-damaged after he was kicked in the head on the castle in September 2005. Ü 10/08/08 Latest News and News Ticker updated. Weather Forecasts added to Latest News page.